Classic Yellow Cake Recipe with Chocolate Frosting. This yellow cake is a gem, so moist and buttery, and the chocolate frosting is whipped to perfection! 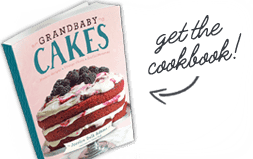 Find my UPDATED YELLOW CAKE RECIPE WITH CHOCOLATE FROSTING IN MY NEW COOKBOOK GRANDBABY CAKES! I’ve been told I’m high maintenance. This yellow cake recipe with chocolate frosting was created to prove that notion dead wrong. I’m a simple gal with simple wants and needs. Do I love shopping for new clothes and shoes? Sure! What girl doesn’t. Do I sometimes have a tendency to order the most expensive thing on the menu? Yep, but it really is because I enjoy quality food. It has nothing to do with pricing. I may be guilty of enjoying lovely (yet high maintenance) things from time to time but I love classic and easy going things as well, like this cake. This yellow cake recipe with chocolate frosting is a traditional plain jane cake that I grew up on but adore. I need no other cake in the world. This satisfies me each and every time. What makes this cake so special is its traditional flavors and staying power. This is indeed a classic in every possible way. As a child, if I ever had homemade cake on my birthday, it was a yellow cake with chocolate frosting. My husband and many of my friends told me they grew up on this cake, as well. Regardless of race, class or religion, this yellow cake recipe with my homemade chocolate frosting recipe has been around for years and will continue to be made for many years in the future! The yellow cake recipe yields a simple yet delicious yellow cake which is moist and flavorful with the richness of fresh butter and vanilla. It is the perfect sponge for a fluffy yet smooth chocolate buttercream or chocolate frosting or chocolate icing, whichever you like saying. It has all the traditional ingredients: unsalted butter, eggs (at room temperature), cake flour, a tiny bit of salt, baking soda and powder, sugar, vanilla and my secret: butter extract (among other things). I love making (and eating) homemade chocolate frosting! 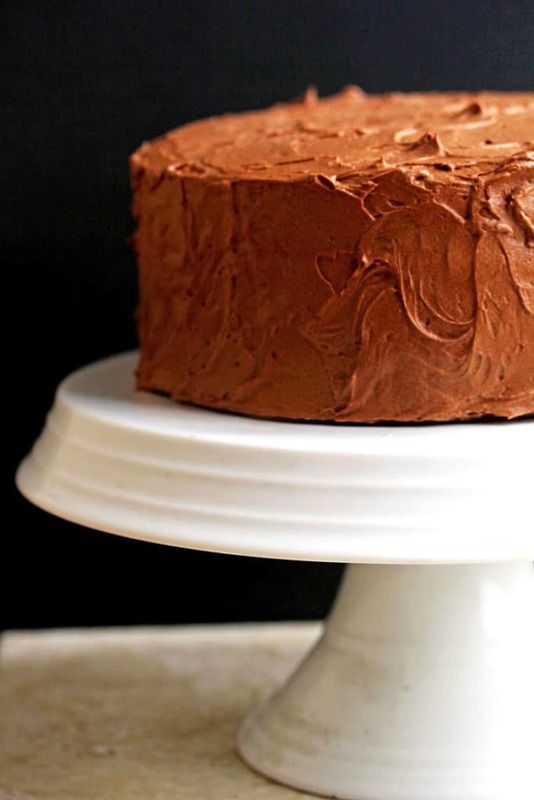 The key to the best homemade chocolate frosting is making sure it is as fluffy as possible. Once you’ve mixed all your ingredients (unsalted butter, cocoa powder and confectioner’s sugar) on high with your electric mixer, add your heavy whipping cream and vanilla extract to the mixer and continue to mix until the frosting is fluffy and smooth! 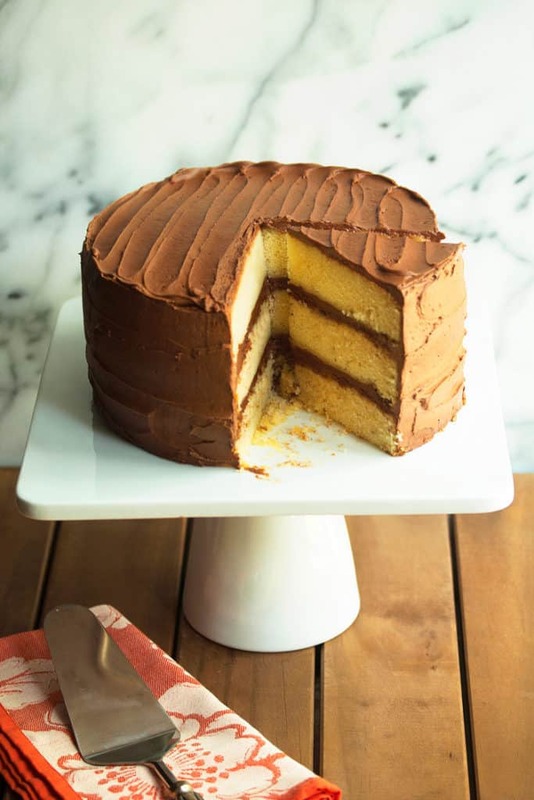 While there are tons of classic yellow cake recipes with chocolate frosting recipes out there (most starting with a box mix), this one brings home that nostalgic homemade flavor you remember with the payoffs only yellow cake from scratch can sometimes give. This yellow cake is a gem, so moist and buttery, and the chocolate frosting is whipped to perfection! Prepare 3 9" round baking pans with non-stick baking spray and put aside. In the bowl of your mixer, beat butter, vegetable oil, salt and sugar on high until fluffy and smooth (about 5 minutes). In a separate large bowl, sift cake flour, baking powder and baking soda together. Turn the mixer to low and add half of flour mixture to the mixer and fully incorporate. Next add sour cream to mixer and blend well and lastly finish with remaining flour mixture and mix well. Finally add vanilla extract and butter extract to mixer and finish beating on low until everything is well mixed. Make sure to scrap the bottom of the bowl as well. Evenly add cake mixture into prepared baking pans and place in oven to bake for 25-30 minutes or until a toothpick inserted into the center of the cake comes out clean but don't overbake (crucial not to overbake this cake)!! Remove cakes and oven and rest in pans for 10 minutes. Next remove layers from pans and place on cooling racks for one hour. Wrap each layer in plastic wrap and place in the freezer for 1 hour to make it easier to work with when assembling the cake. Lastly add in heavy whipping cream and vanilla extract until frosting is fluffy and smooth. Frost each layer of cake with frosting then frost the end. Hi, if I were to use only 5 whole eggs and 2 egg yolks (to give it a bit more yellow color) , would that mess up the end result? I haven’t tried this but you can definitely give it a try and see how it turns out for sure. Will the cake taste ok without the butter extract? I can’t wait to try this amazing looking yellow cake recipe, because it does remind me of my late grandmother’s heavenly cakes!!! Yes it will taste amazing without it as well. I am so glad I found you online. 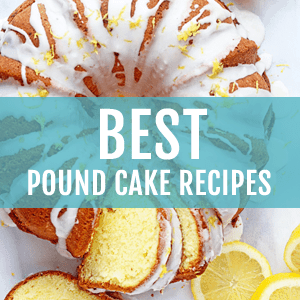 I have made your cream cheese pound cake, lemon pound cake and 7up pound cake!! So far all were a success with moisture, and flavor!! 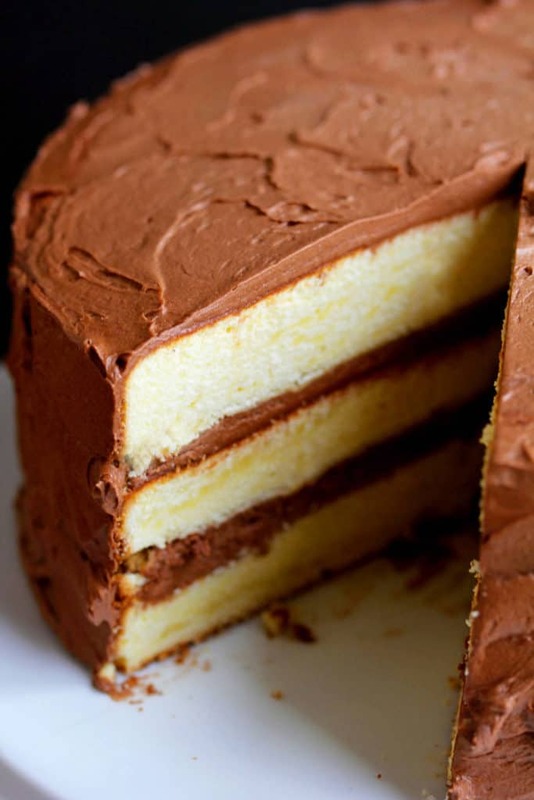 I can’t wait to try this classic melt in your mouth yellow cake with chocolate frosting!! I will try to order your book soon!!! This recipe is so simple and looks so delicious. Wow cant wait to try it. Really amazing. I tried this cake last night. I tastes great but it fell in the middle of all 4 cakes. I only had 8″ cake pans so I split the batter between the 4 pans, it looked like there was plenty in the pans. I baked them in 2 separate batches, 2 pans at a time. All 4 centers sunk down to about 1/4″-1/2″, the edges all looked nice. Any idea what went wrong? Going to make this cake this weekend for a party, but I have a question about the frosting. It says 1 tablespoon pure vanilla and then 2 tablespoons vanilla. That seems like a lot of vanilla. Can you use all pure vanilla? Or does it need to be as listed? I would use just 1 tablespoon for the frosting. Can you use a regular rectangular baking dish instead of 3 round cake pans, and if so, what size? Yes you can more than likely bake it in a 9×13 inch pan. I’ve heard of others doing this. I was looking for a nice yellow cake with chocolate frosting and im sooooooo happy to have found this!!!! THANKYOU JOCELYN!! I made this cake with a few minor changes and it was fabulous! Instead of butter flavor In thecake I used strawberry flavoring/extract and added a strawberry buttercream frosting with fresh strawberries between the layers. Simply marvelous darling! Wonderful! I love your ideas. Can’t wait to try them myself! I just made this cake yesterday and it was superb. It was incredibly moist and flavorful. After reading some of the comments above I’m wondering if it’s best to use the recipes on your blog or your books? 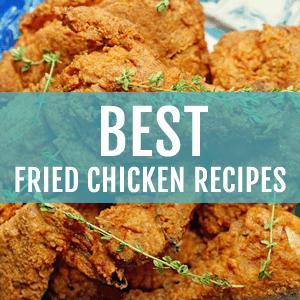 If you decide to adjust a recipe I know you can accomplish that in your blog. Hi Patrice, thanks so much! You can actually use either one. The one in the book is a bit more updated. Hi Jocelyn ! How many grams have a stick unsalted butter? Thanks so much!! It looks delicious! Sure! 1 stick is equal to 1/2 cup of butter and that is 115 grams. Hi there! I’m super excited to be making this for my son’s birthday party this weekend. Question about the frosting. Vanilla extract is listed twice. Can you confirm how much please? Thanks! It’s 1 tablespoon. I hope you enjoy! 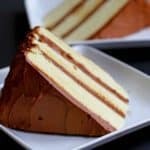 Hi – this cake recipe looks amazing! Just wondering if you have any idea how many cups of batter are in this cake. I am looking for a cake recipe for a wedding cake and I am using a 6 X 3″ round, an 8 X 3″ round and a 10 X 3″ round. Hi Lauren, you got me there. I actually have no idea how many cups are in this. However if you are considering making it for a wedding cake, I would definitely do a test run beforehand so you can have it exactly how you want it. For the frosting, what kind of cocoa powder did you use? Unsweetened, semi sweet, bittersweet, dutch process? I’ve tried making chocolate frosting before (with a different recipe) and it was a total flop. Do you frost the cake straight from the freezer? Thanks! I am overly excited bout this cake! 10 more minutes in the freezer 🙂 I made you lemon bundt cake about 2 weeks ago. It was amazing! Hooray!!!!!!! I’m so glad you enjoyed the lemon cake and hope you enjoy this one too! Had a quick question I guess I didn’t notice last time. Vanilla is listed twice on the frosting ingredients. Could you clarify? Thank you! Hello, Can I use All Purpose flour instead of Cake Flour? No you should definitely use cake flour but you can make your own by removing 2 tablespoons of all purpose from each cup of all purpose flour and replacing with corn starch then sift 3-4 times. Hi, Just wondering before I make this. Is the frosting the darker color rich frosting. I see u use cocoa powder and some cocoa powder is the lighter chocolate color. It isn’t too dark Kenya. It looks more like milk chocolate in color. Jocelyn this cake was superb. I made it for my husband 70th birthday, 1/1/2017. I followed the recipe exactly, except I only used 3 cups of powered sugar for the icing. The cake was so light and moist with a wonderful flavor. Thank you for recipe. I can’t wait to make it again. I’m so happy you enjoyed this recipe!! 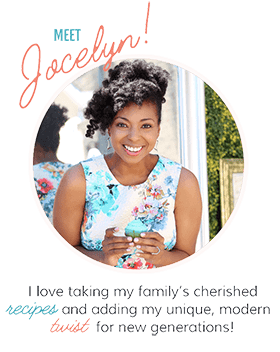 Jocelyn, the frosting recipe says 1 tbsp pure vanilla extract AND 2 tbsp vanilla extract…how much did you use? Oh thank you for seeing that mistake. It was 1 tablespoon vanilla extract. My son made this cake for my birthday. It was delicious!! He cut the recipe in half since it was just for the family. Fantastic! I’m so so glad you enjoyed it. Happy Birthday! Hi Jocelyn. It’s been awhile. I’ve been chosen to make a chocolate cake and caramel cake for our next gathering. And I’ve never gone wrong with your recipes. However it’s my first time and I don’t want to mess it up. We typically get the cakes from brown sugar bakery…so yeah um…I’ll need your help. Ok here’s the question. Is the cake flour self rising or no? Thanks so much. Nope on self rising flour. Just regular cake flour. Swansdown is a brand you will find a lot. Also you should use my cookbook instead for these two recipes as I have made several updates and have easier instructions to the recipes in the book. Let me know if you have any additional questions. Thanks for responding. I’m getting my grocery list together. As great as a new cookbook and easier instructions sounds it’s just not in the budget right now. My youngest sister loves to bake so when the time is right this is something I would purchase for her. Any quick tips for a successful turnout? Hi. Have all my ingredients and my baking assistant ready! Does the frosting for this recipe call for 1 tbs of vanilla extract or 3 tbs? I’m wondering the same thing. Did you ever make the frosting? Hi – I’m from Australia… What is butter extract? And how much is a ‘stick’ of butter (in grams, cups, or spoon measurements? )… Thanks! Hi Tick, you can omit the butter extract if you would like and it won’t change the wonderful flavor of the cake. I received your cookbook for Christmas. My first cake was the cinnamon roll. AWESOME. Seriously — I want to make it again just to bring it somewhere and show off! Next up – this chocolate cake. I can’t wait! Hooray!!!! I’m so glad you enjoyed it Barbara!!! Let me know how the chocolate cake turns out! Hi Jocelyn — First – I did make the cinnamon roll cake again — brought it to my family and they were licking the cake server! Today I made the yellow cake with chocolate frosting. The cake was PERFECT – super moist and flavorful. I thought the frosting might have been a little too sugary so I was going to ask how to adapt it. But then I realized the recipe in your book is slightly different — calls for 5 cups of confectioners, 1 cup of cocoa powder and one and a half of butter AND heavy cream. The taste was great — just a little too sweet for me. Should I just drop some of the confectioner’s sugar? Also I noticed that it was a LITTLE grainy. I’m not a baker — I’m learning with your book — so was this a function of not beating enough? Something else? Otherwise — hubby already had two slices so these really are “little nits” 🙂 Thanks — really appreciate your help! Hi Barbara, yes! Feel free to adjust the sugar in the frosting to make it how you would like to. I totally retested and redeveloped a lot of recipes for the book so you will see differences from the ones on my blog for sure. Also yes, you want to make sure you whip that frosting until it is absolutely and completely smooth. Let me know if you have any other questions. I am so glad your family is enjoying your treats from the book. Thank you so much. We are LOVING the recipes. Great book! Such an amazing cake, its a hit every time I’ve made it…. Fabulous. I don’t have a stand mixer. Is this recipe way out of my league. Have you tried this as a pound cake? Can it baked in flute pan? Hi Latory, I actually haven’t tried this recipe as a pound cake. If you do, let me know how it turns out!!! 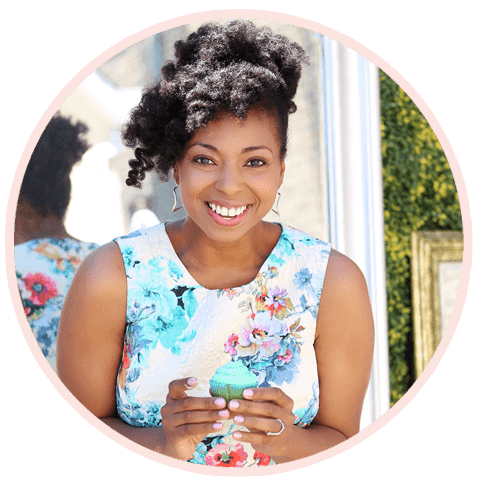 I came across your blog a few weeks ago, and I love it. This cake looks especially decadent- can’t wait to try it. Nothing reminds me more of my childhood, than a moist yellow cake, slathered in creamy chocolate delicious frosting. Can’t wait to try this! ? Thank you so much Keisha! I’m so glad you made it here!! I have been viewing your recipes and they look delicious! I can’t wait to try the caramel and chocolate cakes. Also, congratulations on your cookbook! I have preordered mine! If you need any testers from the St Louis area PLEASE let me know! I am available. Hi Varonaki, Thank you sooo much for your support!! I wanted to let you know that I will be on book tour in St. Louis on September 30th. I will have more details up soon! This is by far the best yellow cake I’ve ever made. I have made this recipe 5 times since finding this months ago and every single time, PERFECTION! In fact I am baking it right now as I type this 🙂 I made it for a friend who is an experienced baker and she said it was one of the best cakes she’s ever tried! Delicious! Hooray thank you so much Miss Betty!!! I adore this cake too. Thank you for the sweet comment. when you say 2 sticks of butter how much grams is “each” stick of butter exactly ??? I followed the directions to the letter and this cake came out very dense and dry. The frosting was delicious and the cake was edible but a real disappointment. Hi Heidi, I’m so sorry you had problems with this cake because so many people love it. Because of the addition of oil and even more eggs, the product is very tender and moist. I am happy to walk through steps with you but not sure what happened. 2. Baked in larger pan, like the 9×13 pan? I would like to make 9 X 13 cake , should I use same measurement for that as well. Hi Mona, yes you can try it with the same measurements and see how it works. You will have to change the baking time.